45. 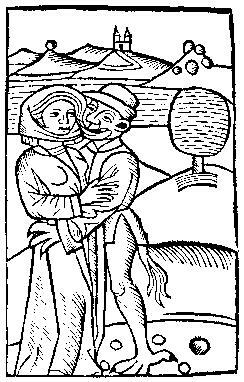 The Devil making love to a witch. From Ulrich Molitor's Von den Unholden und Hexen. Constance, 1489.